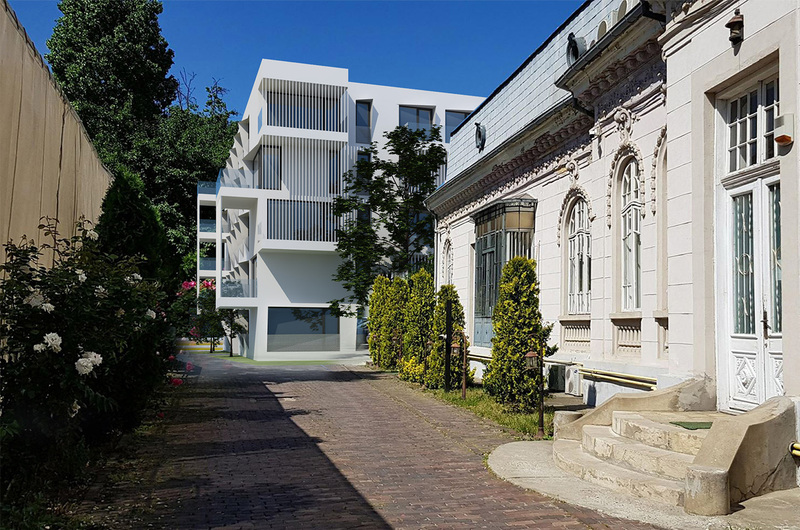 The project will be located in the heart of the city, neighboring old villas and new luxury developments, in an unique residential area of Bucharest – Calea Calarasilor. Many attractions and landmarks can be found near the location of the project: Piata Unirii Square, The Old City Center, Unirii Shopping Center, Hala Traian, restaurants, coffee shops, schools, private clinics, etc. The building will have a total built area of 2000 sqm, displayed as basement (underground parking) and four floors. The energy efficient building will comprise 24 apartments with generous terraces. All apartments will benefit of luxury finishing, with features such as generous double-glazed windows, individual heating system, mixed facades plated with decorative materials that will also serve as thermic isolator, high-end interior finishing. Parking will be available within the premises.